With Readly you can read The Queen at 90 – A life in pictures and thousands of other magazines on your tablet and smartphone. Get access to all with just one subscription. New releases and back issues – all included. 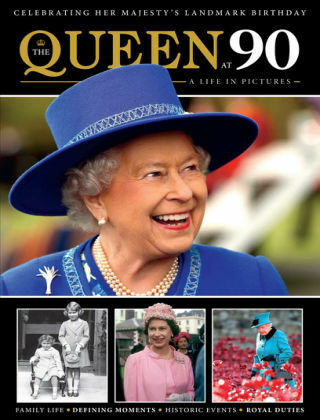 Showcasing an extensive collection of more than 400 fascinating images, The Queen at 90: A Life in Pictures takes readers through the people, the places and the moments that have shaped the life of Britain’s longest-reigning monarch. Elizabeth Alexandra Mary Windsor, the first child of the Duke and Duchess of York, was born at 17 Bruton Street in Mayfair, London, on April 21, 1926. The monarchy, the nation and the world have changed dramatically since then, yet Elizabeth has remained a beacon of consistency and stability throughout - first as a princess, then as Queen. To celebrate her 90th year, Britain and the Commonwealth will come together to pay tribute - to her decades of devoted service and to her lifetime at the forefront of national and international affairs through times of triumph and tragedy. A series of spectacular events will culminate with a huge street party on The Mall outside Buckingham Palace, with Her Majesty and members of the royal family as guests of honour.